Apple this week called for terminating two plaintiff lawyers in an ongoing lawsuit over iPhone throttling, saying they leaked secret documents in violation of a protective order. The lawyers, Joseph Cotchett and Mark Molumphy of Cotchett, Pitre & McCarthy, repeatedly referenced three Apple documents marked "Highly Confidential — Attorneys' Eyes Only" during a public hearing on March 7, according to a filing with the U.S. District Court in San Jose. Apple company further argued that in response to a letter, Cotchett "deflected blame, misrepresented the factual circumstances, and threatened his own sanctions motion based on Apple's confidential designation of the documents." Reuters reported on the filing this week. The lawsuit is a consolidation of 61 separate cases accusing Apple of false advertising, unfair business practices, and other charges relating to its decision to quietly throttle iPhones with weak batteries beginning with iOS 10.2.1. While Apple insisted this was necessary to prevent sudden shutdowns, the tactic upset many people shocked to learn their phones were being deliberately made slower. 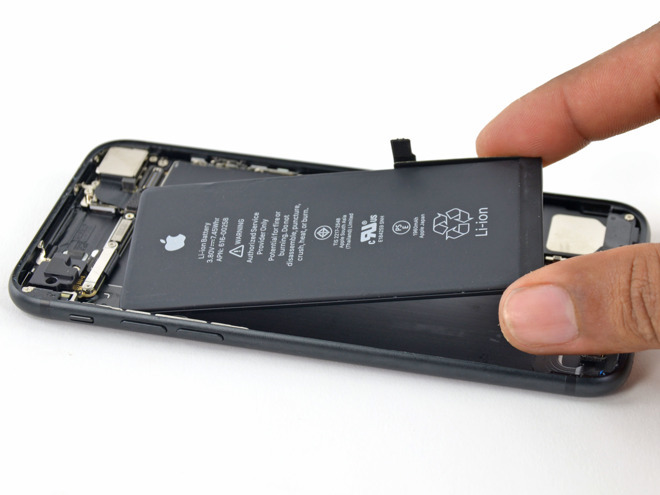 Apple eventually apologized and promised remedial steps, including a year of discounted battery replacements and battery health controls included in iOS 11.3. Some critics have accused Apple of planned obsolescence, but so far these claims don't appear to have had much legal standing. In places like France, planned obsolescence can be illegal.